I attended the Stamford Garden Club’s flower show TIMESCAPES today as a prospective GCA horticulture Judge. The show is beautifully staged and the exhibits are splendid, especially considering the rainy damp week we’ve just had in our area! 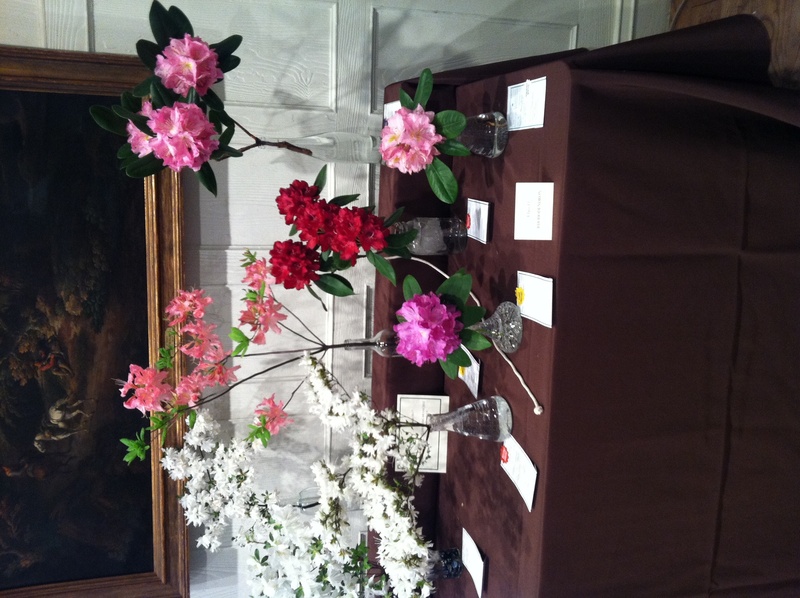 The flower show is being held at the Stamford Museum and Nature Center in the former Bendel mansion. The show is well staged in this very attractive space. You can visit and view tomorrow, Saturday, May 21st from 10 a.m. to 4 p.m.
Bravo to the Stamford Garden Club for putting on a first rate flower show!!! This entry was posted in Uncategorized and tagged Stamford Garden Club, Timescapes. Bookmark the permalink.